What's new in DocRead 2.0? We are proud to say that the latest release of DocRead now fully supports SharePoint 2013 and also includes new functionality to help Line Managers *track their team members reading assignments. 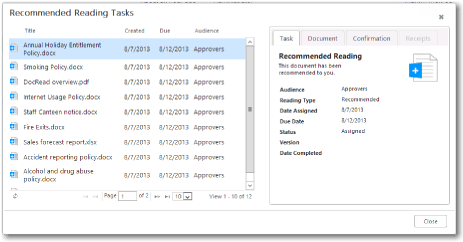 DocRead Web Parts can be placed anywhere in SharePoint 2013 to alert users to their reading list. 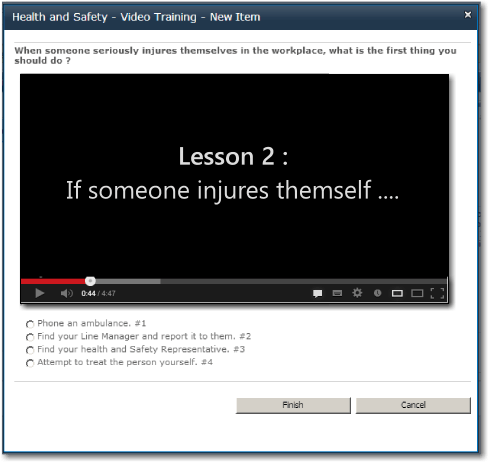 Each web part has been designed to look and feel like SharePoint 2013. A new set of icons and imagery has been introduced to fall in line with Microsoft's new Metro look. DocRead works on all versions of SharePoint 2013 (Foundation, Server and Enterprise), however, it doesn't currently work on Office 365. A set of new Line Manager Reports have been developed so that team leaders can easily see how their direct reports are progressing with their reading tasks. The Line Manager relationship data is pulled from Active Directory (via the User Profile Sync) so doesn't need to be maintained separately in DocRead. 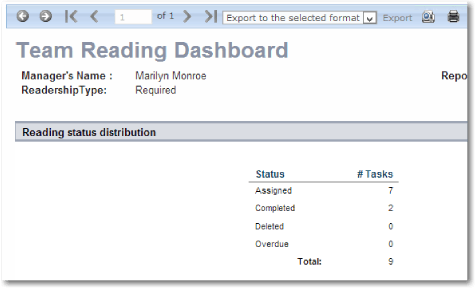 Both the "Team Reading" and "Team Members" Dashboards show at high-level the status of a particular line mangers staff. 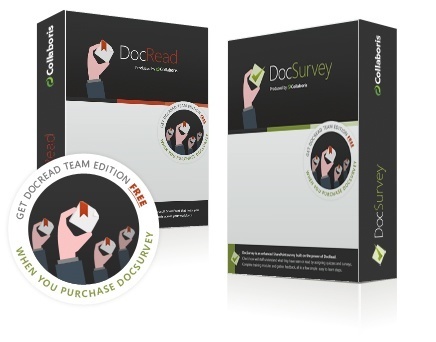 Both Dashboards can easily drill down into more detailed reports for further analysis. The DocRead Scheduler is a background notification service that can run outside of SharePoint to reduce licensing costs and load. It's main job is to send E-Mails from DocRead. 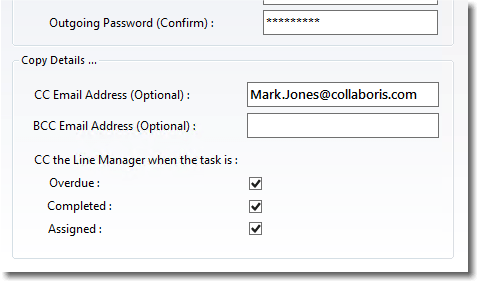 It is now possible for an Administrator to specify that all Line Managers are Cc'd on their staff member's E-Mails. The Administrator can select which types of mails to Cc managers on. One or more recipients can also be Cc'd, or Bcc'd on every email that DocRead sends out, which is very useful for testing and auditing purposes.